Toyota Kirloskar Motor today announced the launch of its ‘Monsoon Car Care Campaign’ offering free vehicle checkups* and other benefits to all its esteemed customers across Karnataka, Andhra Pradesh & Telengana. Effective from 1st July 2017, the offers will run through the month till 31st July 2017. Toyota has set a benchmark in the automobile industry for its quality products and more so for Q class service experience. 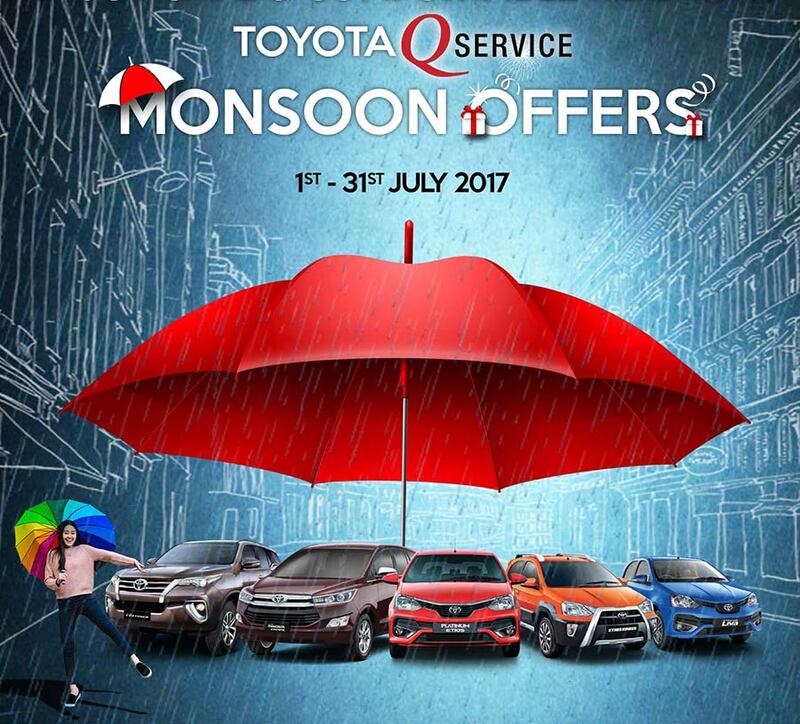 The ‘Monsoon Car Care Campaign’ is in line with the company’s “Customer First” philosophy, aims to connect with Toyota customers to guarantee safe, comfortable and hassle- free drives during the monsoon season. At Toyota, the customer delight is the key in all our endeavors. All our efforts are to ensure that every single customer gets the best ownership experience and the best after-sales support with maximum benefits throughout the vehicle life-cycle. 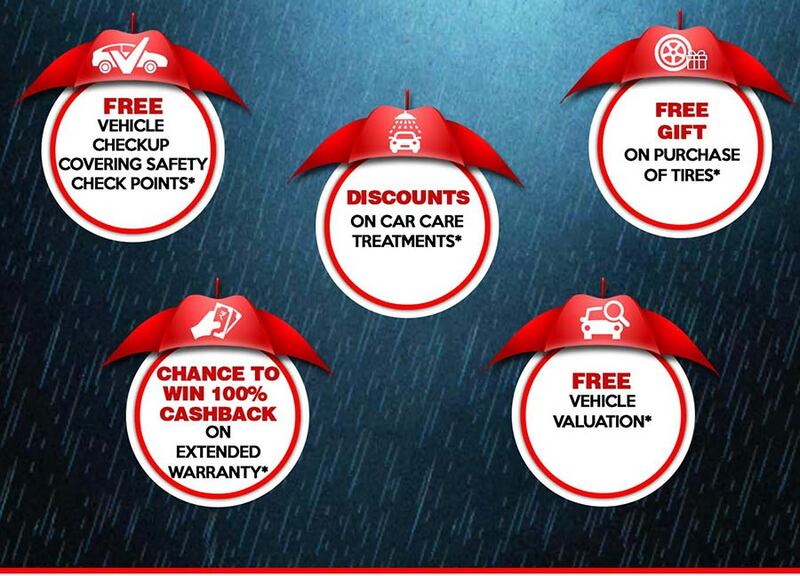 The “Monsoon Car Care Campaign” offers an exciting array of benefits to enhance customer convenience whilst ensuring safety of vehicles during monsoon. Safety is of utmost priority to us, and we are extending complete support to customers towards maintaining their vehicles through regular periodic services that will guarantee safe and trouble-free drives. Through these special service campaign offers, we wish to express our gratitude to our customers for their great trust & most admiration for our world-class products & services. We look forward to a good season and we are sure to delight our customers with these amazing offers this monsoon. 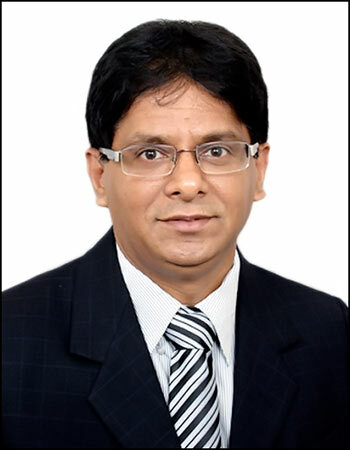 Toyota constantly engages with the customers to deliver the best products & services through its leadership in continuous improvements, thus meet the evolving customer expectations of the markets. With the monsoon season round the corner, this campaign will ensure seasonal preparedness required for the vehicle, thus providing a safe comfortable journey to its customers.